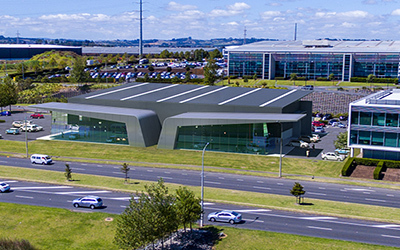 A $3million project located in Auckland's premier industrial park. 1230m2 warehouse and two 214m2 showrooms. The showrooms feature a 7m high glazed facade and striking alucabond cantilever 'wings'.